It all started out innocently enough. I arranged to meet a friend on a Wednesday night who I interned with at VOGUE, and in my head I was thinking, "I'm only going for one. I'll be back home at 8:30pm, latest." Famous. Last. Words. My top-notch research skills meant I'd come across Mr Fogg's about a year ago, while I was on the lookout for exciting London establishments to visit. 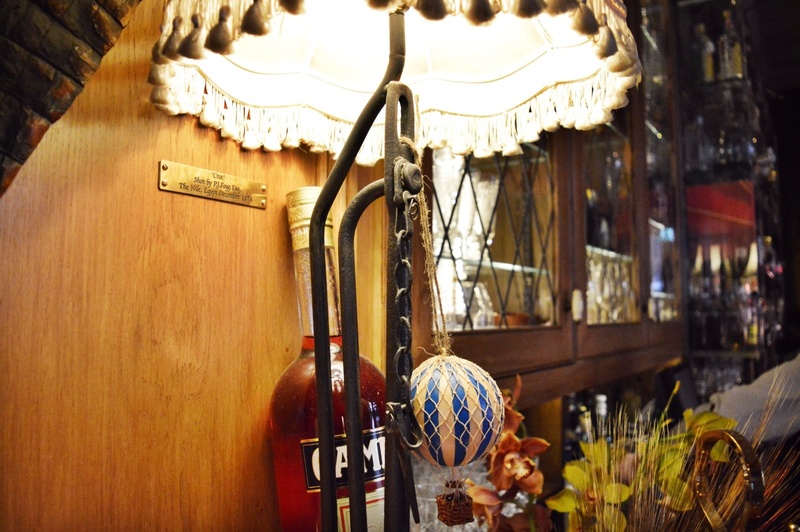 The bar is actually part of a chain (but you wouldn't know it) with Maggie's, Bunga Bunga and most recently, Cahoots. 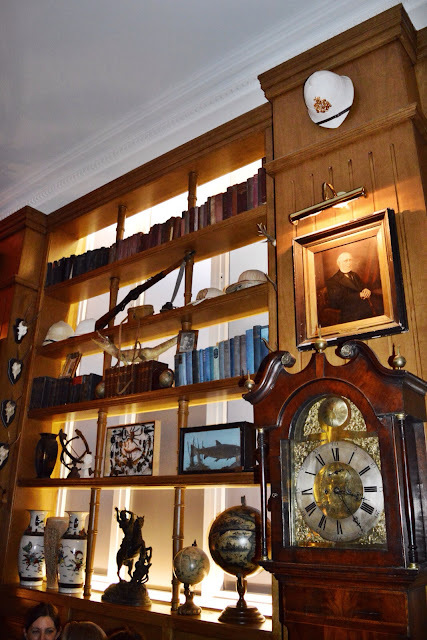 Mr Fogg's is the haunt of eccentric British adventurer Phileas J. Fogg (esq), designed as if you're in his (generously-sized) living room. And then you walk in, and that's when the magic happens. 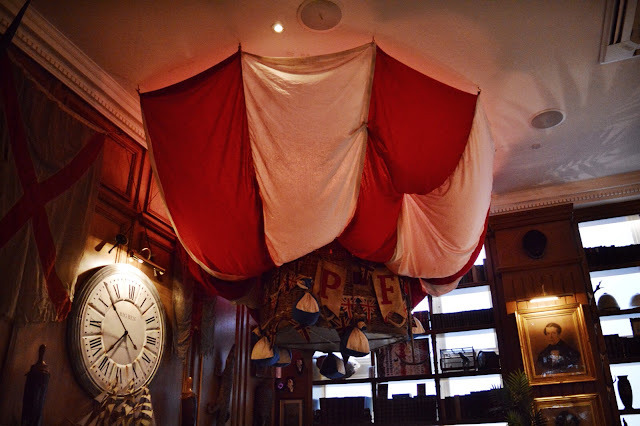 You forget you're in the heart of Mayfair, and you're transported into the wonderful world of Fogg. There's a hot air balloon in the corner *just* starting to take flight, and you're surrounded by mementos of his adventures including flags, ornaments, plaques and portraits. We were greeted by Jorje, who my friend and I agreed was just the nicest person. When I asked to speak to someone regarding my blog - the fact I was planning to review it, etc - he immediately got hold of his manager, Diego, who was equally kind and professional. 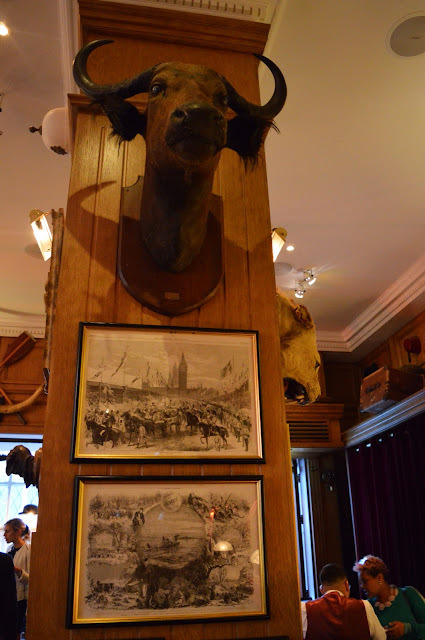 He also - to our excitement - allowed us our first cocktail each on the house. Before I go on, actually, I will say that the service here was second to none. Looking around, it was suits-galore, and my friend and I stuck out a little in our casual attire (I was in jeans and trainers). I honestly thought my scruffy get-up would make them less attentive towards us (trainers are far cheaper than tailored suits and a pair of Church's, after all), but I needn't have worried. Every drink we had, there was someone to make sure we were enjoying it. 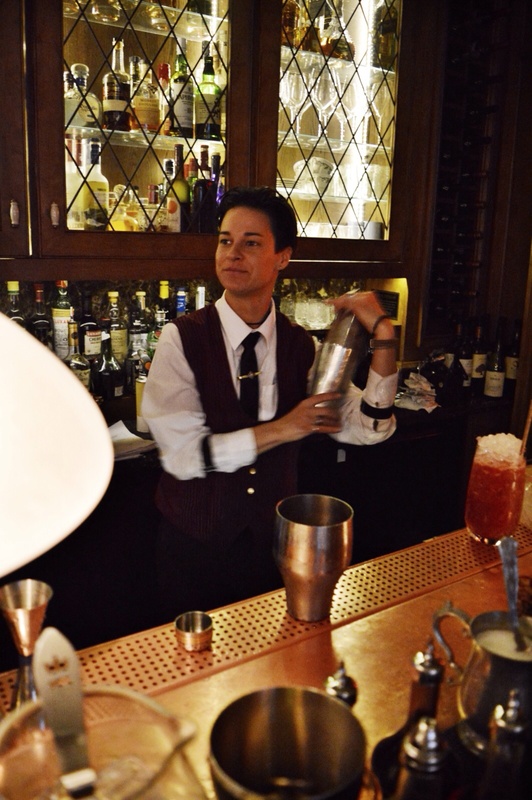 Plus, when I wanted a long drink but wasn't sure which drinks were actually long, there was someone to guide me. 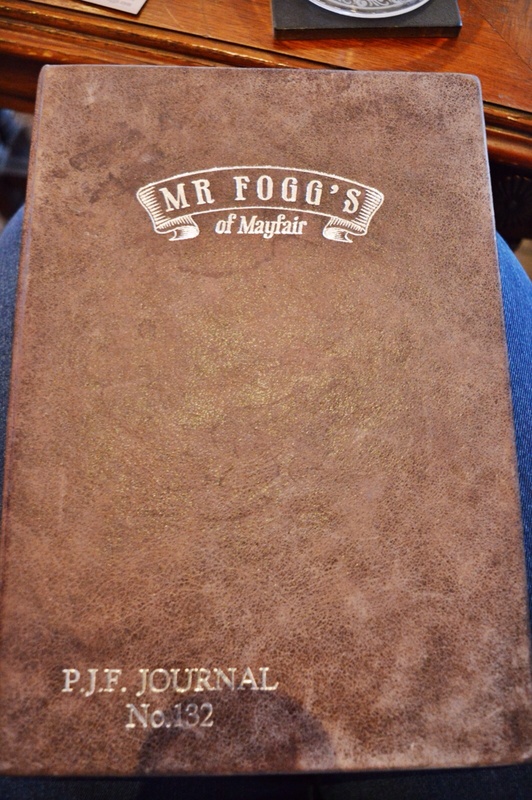 Gold stars all around, Mr Fogg's. After dithering for a good ten minutes, I finally opted for No.13 The Royal Martini. 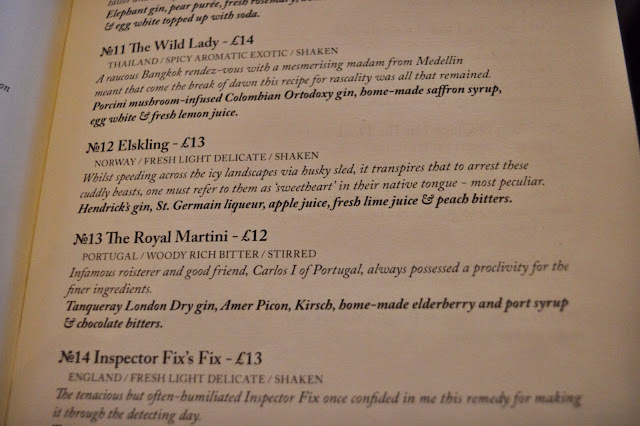 It's a nice touch, too, that Fogg's includes the cocktail's origin, a little description, and whether it's shaken or stirred. Oh, my goodness, my martini was delicious. As in, it tasted of chocolate and elderflower and it made me feel warm inside. Best of all, when I'd sipped and slurped every last drop of the delectable liquid, there was a black cherry to make me feel less glum. 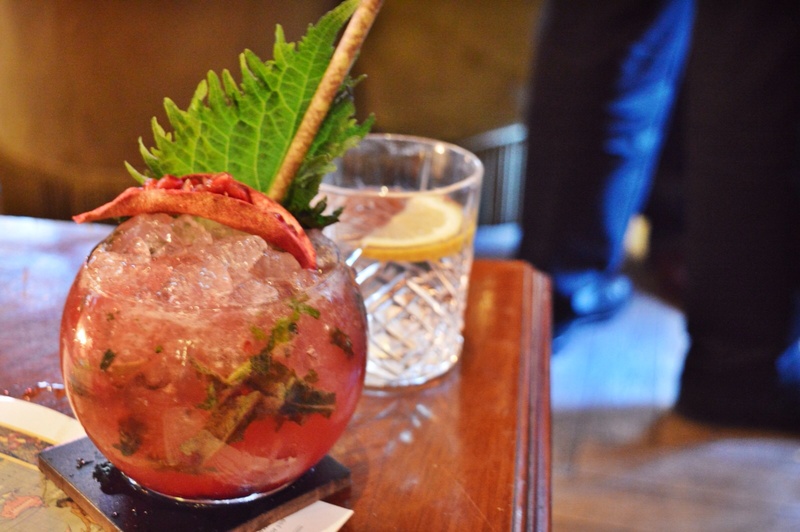 I couldn't tell you what my friend had, but it was also gin-based and yummy. 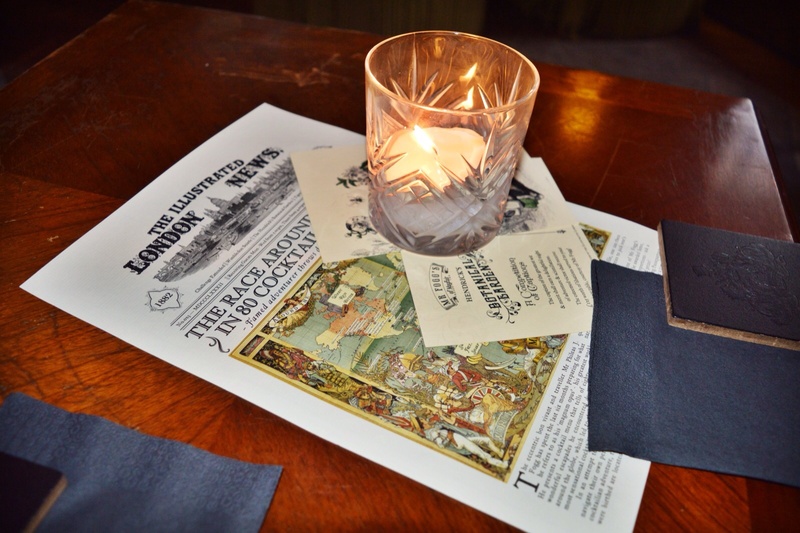 Cards on the table - and you may have gathered from my menu photo - the drinks err on the pricey side. There's no pretending it's cheap here. But alas, situated in the heart of Mayfair, and a favourite of the affluent city-workers, it's kind of expected. I loved the branding of this place. 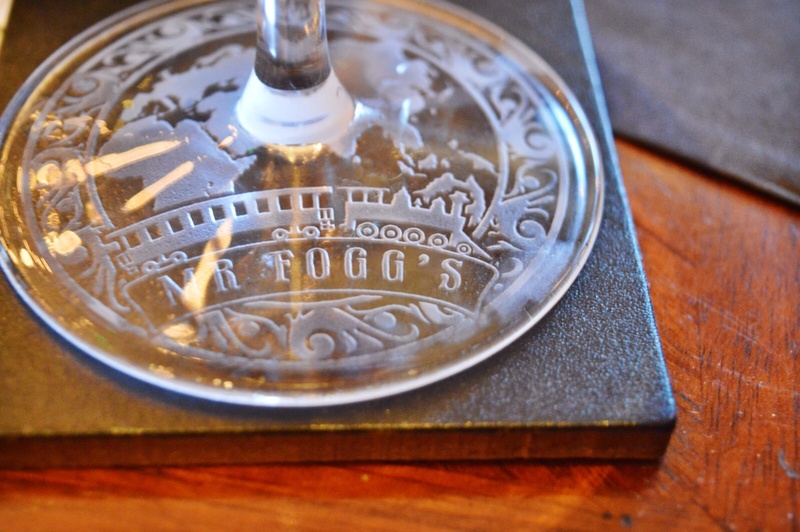 When I realised my Martini glass had a Mr Fogg's etching with a cute illustration, I lapped it up. 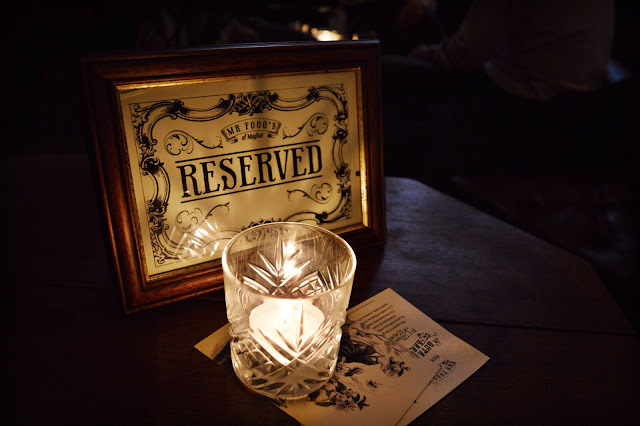 Suddenly I forgot about the outside world; all that mattered was catching up, ordering another drink and enjoying the Wednesday night buzz as the bar got busier (I'd definitely reserve a table, as by 7pm there wasn't an empty seat to be seen). I left my friend to deliberate over her next drink whilst I snapped a bit of bar action. 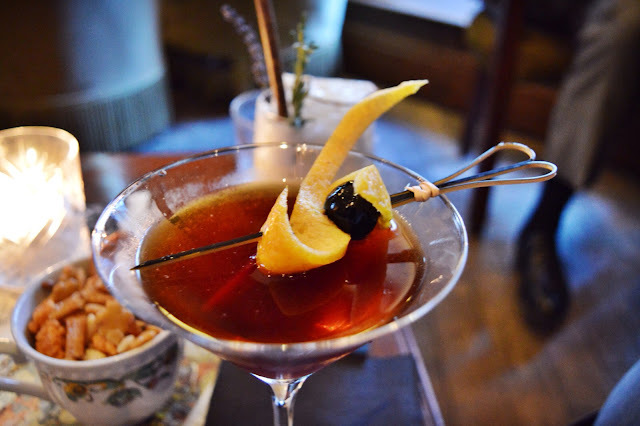 I wish I'd taken a photo of the drink I ordered next, but I didn't, sob, so I can't give a specific name. BUT, I know it was Vodka based (cocktails are split into sections according to spirit), and it contained lots of pomegranate goodness. My friend (on her third drink, because no joke, these drinks are AMAZING) ordered a beer and whisky cocktail that had literal hops sticking out of it. It was marvellous. 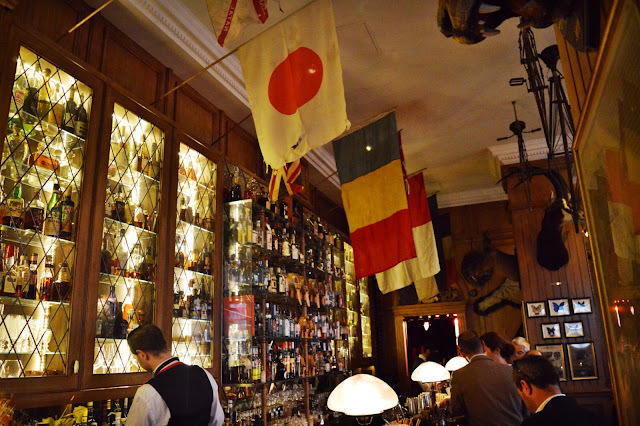 When you come to Mr Fogg's, make sure you consume enough liquid so that you require a trip to the restrooms... There's a full-on audiobook of his adventures. It made me feel torn between rushing back to my company & cocktail or staying in the cubicle for a few minutes more. But I didn't want it to seem like I was having an "issues" (haha) so reluctantly left and hoped Mr Fogg lived to sail another day at sea. 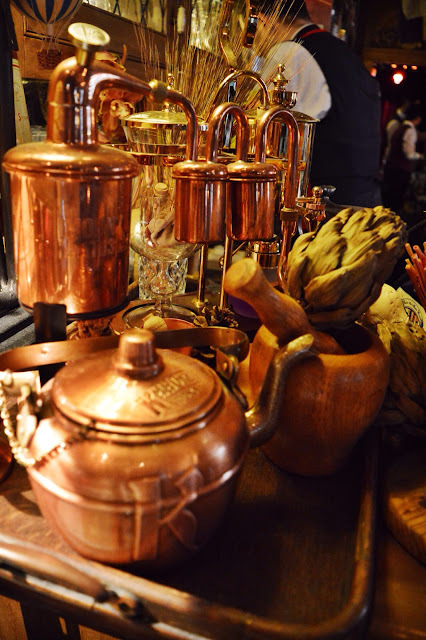 The website for Mr Fogg's is very mysterious. As in, it doesn't give too much away. There's no drinks menus, and you have to hover to see which bits you can actually click on. 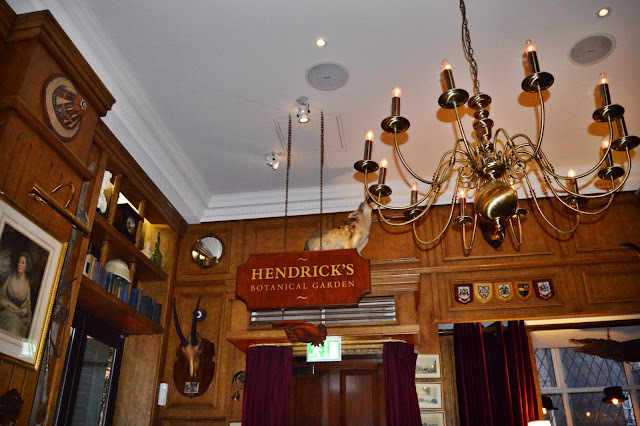 But what I did discover, prior to my visit, was that they offer a Hendrick's Botanical Garden which sounds awesome - again, no pictures, but you can be sneaky and check it out on their Instagram. 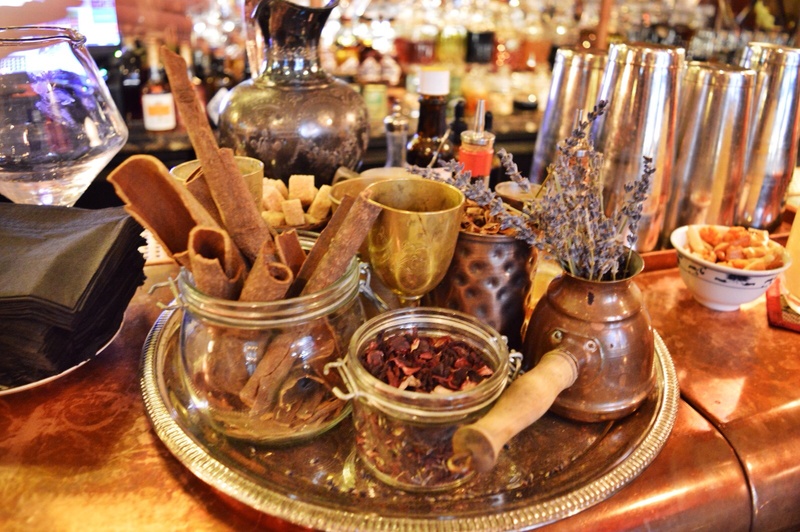 Also, on my list of things to try is their Tipsy Tea, an extravagant afternoon tea accompanied by Gin or Champagne tea, with the option to get a bottomless amount of both. The next time I have cause for celebration, guess what I'll be doing? 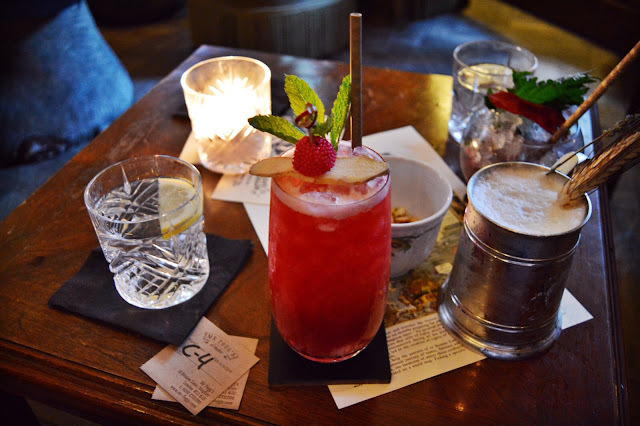 Drinks consumed, feeling slightly giddy (my friend a little more so, being 1 cocktail extra down than me), we paid the bill and left Mr Fogg's with a heavy heart. Stepping out into the quiet back street, away from the buzz, our eyes adjusting to the light, it was as if we'd left something behind. I already missed Jorje and Diego and the audiobook and the extravagant, brilliant cocktails. The door closed behind us, and we were back to reality. 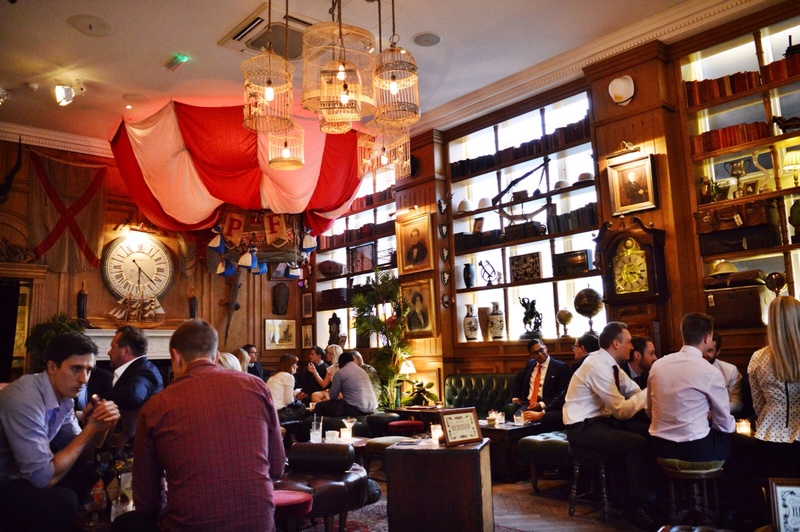 Because, at risk of sounding like a faux M&S advert... Mr Fogg's isn't just a bar. It's an experience. 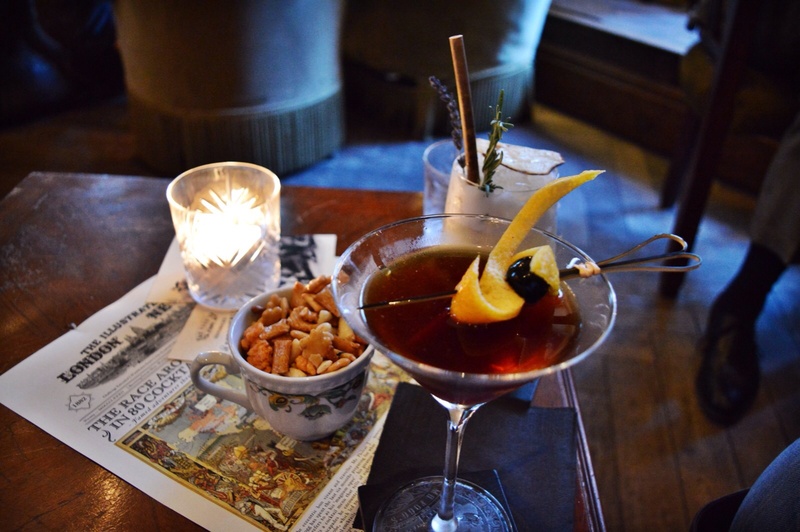 And it's an experience you'll want to revisit time and time again... once your bank account has recovered, of course. For more information on Mr Fogg's, including reservations, the Hendricks Botanical Garden & Tipsy Tea, click here. 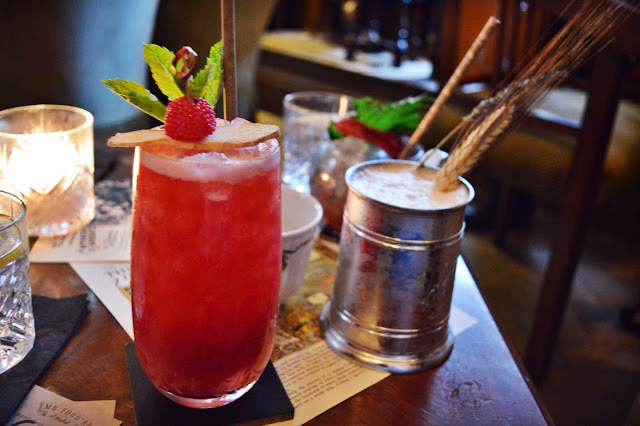 *Thank you to Mr Fogg's for providing us with a complimentary cocktail upon arrival! This place looks freakin' awesome. The DETTAAAILS. Swoonin' 'el.